Practices will be after school on Mondays, Wednesdays, and Thursdays. 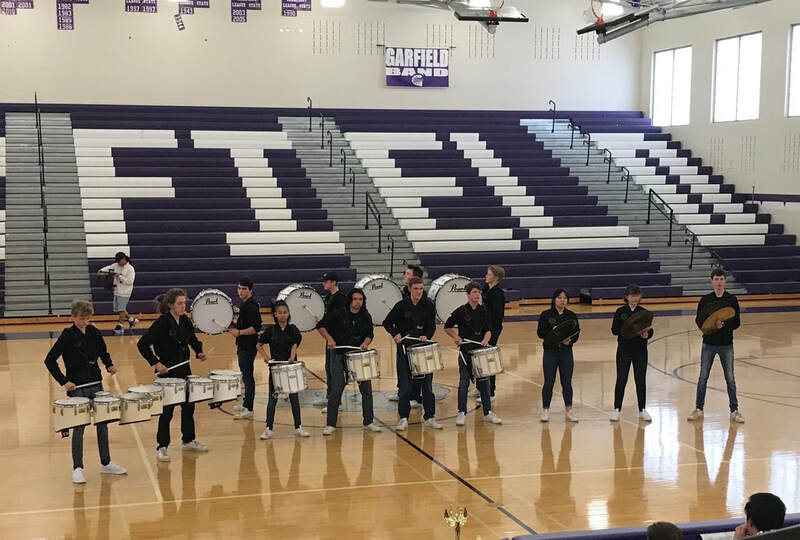 Roosevelt Drumline is one of 12 local organizations invited to participate in the Bellevue Festival of Drumlines. This event is free for audience members with a suggested donation of $5/Student, $10/Adult, and $20/Family. As of this writing, Roosevelt Drumline is scheduled to perform at 2:00pm. ​Roosevelt Drumline has once again been invited to welcome Santa at the beautiful Alderbrook Resort on Hood Canal as he arrives by boat to officially kick off the holiday season. This is a huge event for the local community and always a highlight of the school year for our students. Students will depart from RHS immediately following the Macy's Holiday Parade on November 25th and return mid-day on Saturday. More information will be forthcoming. If you can chaperone or if your student is unable to attend this event please contact David. 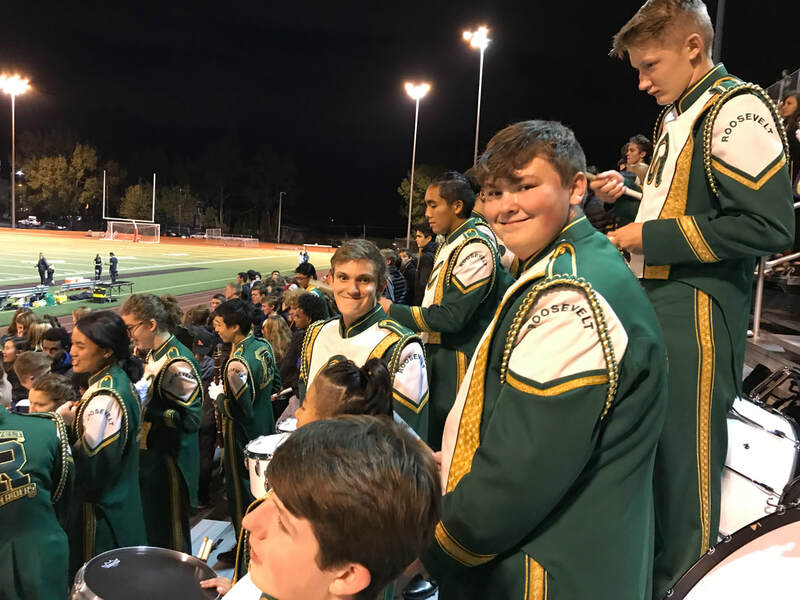 The Roosevelt Drumline has been invited to perform alongside Blue Thunder at halftime of the Seahawks' game on Sunday, November 20th. Students need to arrive at CenturyLink Field at 7:00am for a full dress rehearsal prior to the gates opening. Please let David know if your student is unavailable to participate.